Never before has the legal industry faced such high stakes litigation as the cases that face it today. Among the largest of these cases are company-versus-company lawsuits, which are often “bet the company” in nature. 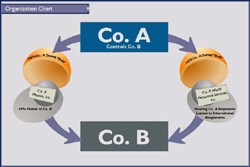 A2L has considerable experience working on noteworthy complex commercial litigation cases involving contract and other disputes between large corporations. A2L’s work in this area typically involves cases ranging in size from the tens of millions to hundreds of billions of dollars. Among the unique problems facing the trial team in these types of cases is the difficulty posed by effectively presenting massive amounts of statistical data in a clear and concise form. Invariably, in cases like these, there are typically millions of documents relevant to the case, spanning decades. Moreover, although the issues are not always as technically complex as they might be in, for example, patent litigation, they are often so factually dense that without the aid of persuasive visual exhibits and a coordinated presentation strategy, many of these cases can be virtually impenetrable for the average juror. To overcome these challenges, A2L has developed a variety of techniques. For example, in order to accommodate the trial team’s need to “call up” any one of millions of documents “on the fly”, A2L routinely outfits courtrooms with the latest in trial technology, which allows for a seamless presentation of documentary evidence. In one significant contract case for Foley & Lardner, with over five hundred million dollars at stake, A2L was called upon to create exhibits that contradicted the Plaintiffs’ assertions that they were not kept appraised of a particular joint venture, despite having been on forty committees with the defendants. In order to assist the trial team, A2L created an exhibit and encouraged the use of a psychological technique to persuade both visual and auditory learners. This example demonstrates how A2L created a demonstrative designed to be used in conjunction with the oral statement “plaintiffs had their eye on the project.” The exhibit shows how the oral message was reinforced, by subtly incorporating it into the design itself. A2L’ attorney litigation consultants recognize that corporate litigation stakes are at their highest when a product comes under attack. These cases, perhaps more so than any others, typically involve educating a lay audience as to the “right” facts. Very often this education requires the jury or judge to digest and process vast amounts of highly complex technical and scientific materials, often to simply refute a very narrow allegation that is seemingly simple to understand. Since 1995, A2L has gathered extensive experience in defending products in the tobacco, alcohol, pharmaceutical, and construction industries, as well as many others. A2L has worked on behalf of such firms as Shook Hardy et al., Jones Day et al., Philip Morris, Kirkland & Ellis, Mayer Brown et al., and Foley & Lardner in the defense of accused products. A2L has received international exposure for its groundbreaking work on behalf of the tobacco industry. During this litigation, A2L was involved in all levels of the litigation, including high-level international strategic brainstorming. Like many product liability cases, the tobacco litigation involved highly complex information that needed to be presented at a very understandable level. Among the types of dynamic exhibits developed for this landmark litigation, A2L created a variety of demonstratives including: traditional trial exhibits intended to show the effects of genetics on the development of cancer; an interactive multimedia presentation to simplify and teach the development of cancer at the microbiological level; and engaging animations to explain teach otherwise boring statistical epidemiological information. 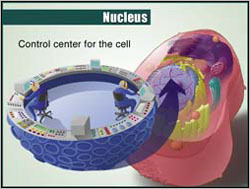 In one noteworthy example, A2L’s highly trained illustration team created a memorable graphic that conveyed the challenging message that the nucleus is the control center of the cell.It was critical to the attorneys’ overall trial strategy that the fact-finder fully comprehended this basic, yet potentially difficult concept. This example demonstrates how A2L succeeded in converting this challenging micro- biological concept into a simple and understandable presentation. 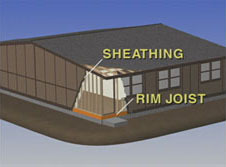 In another case, A2L’s design team created an animation showing how the failure to properly protect against termites caused the mass failure of modular housing throughout Florida, resulting in hundreds of millions of dollars in damages. A2L has worked with some of the largest international firms on behalf of clients accused of a variety of antitrust violations, as well as clients who have been the victims of unfair business practices. A2L has significant expertise in the field of antitrust, as evidenced by the fact that its attorney litigation team includes trained economists. A2L has developed mechanisms for both prosecuting and defending claims of price fixing, and various anti-competitive practices. A2L’s recent work in this area has included the multi billion dollar in Re: Vitamins Antitrust Litigation Matter for a consortium of the nation’s largest law firms, defending 3M Corporation from price-fixing allegations, as well as successfully defending a major brewer against claims by its distribution network. As a result of its vast experience working with these cases, A2L has discovered that the prototypical antitrust case typically involves a very long fact pattern set over a lengthy period of time, which often hinges almost exclusively on documentary evidence. Therefore, in order to properly manage this information, A2L utilizes a combination of persuasive timelines, financial charts, and document call-outs to help reduce this otherwise impenetrable subject matter to a story that is understandable and compelling. In one recent case, A2L has been instrumental in assisting a major water filtration product manufacturer in illustrating how a competitor not only misappropriated an invention from the government, but also wrongfully obtained patents on that invention, in order to exclude the manufacturer from the marketplace. In that case, A2L created timelines and other dynamic exhibits to not only highlight the precise dates of the competitor’s wrongful acts, but also to contrast the competitor’s conduct against what the competitor should have done. As a result of the highly persuasive exhibits created by A2L, the client received a favorable ruling whereby the judge significantly expanded the relevant time frame applicable to the case. Class action lawsuits are often some of the most difficult to prosecute because of the challenges associated with such a large number of litigants. A2L’s work in the field has produced new and innovative techniques for overcoming these challenges. In one noteworthy example, A2L worked with the trial team at Williams & Connolly on a landmark class action lawsuit brought on behalf of U.S. Department of Justice attorneys in order to successfully recover overtime pay. To alleviate the difficulties posed by such a large class of litigants, A2L created a web site that kept class members informed about the status of the lawsuit, and allowed potential class members to opt-in online. The website also featured a damages calculator which allowed class members to estimate their possible damages. This innovative web site provided the trial team with an invaluable tool to communicate with their class as well as the ability to spend their valuable time focusing on the legal issues of the case.